Out Tonic Vinegar 3 Pack is back! Our Concord Grape Vinegar, Goji Vinegar and Longan Vinegar gather together to give you some of the most amazing superfoods made into Super Living Vinegar! 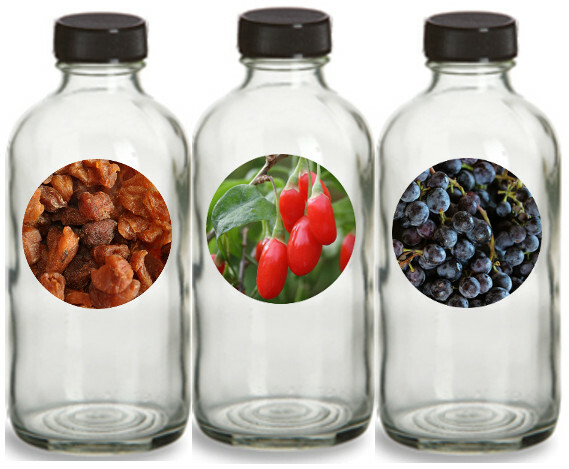 The only ingredients we put in our Goji and Longan Vinegar are Tonic Fruits, Spring Water, Raw Honey and Love. Concord Grape only contains organic grapes. Each Vinegar is packaged in an 8 ounce brown glass bottle. Contains the mother.